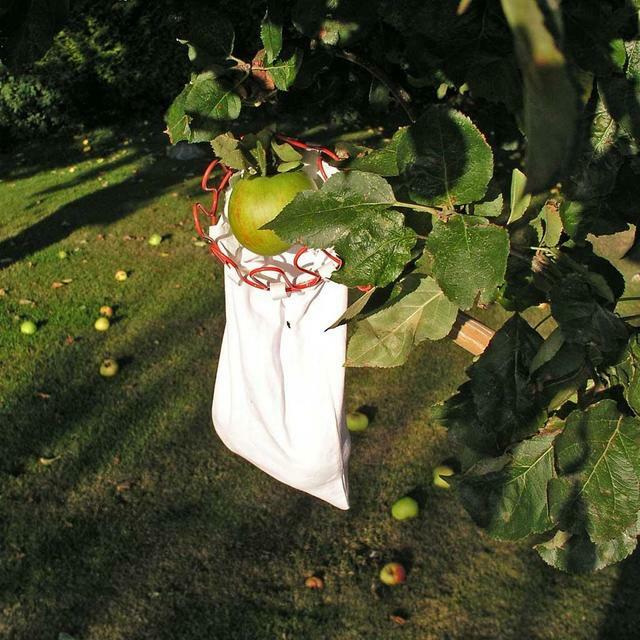 Quick and easy way to pick fruit, even from the highest branches. The quicker picker is an efficient way to pick apples, pears and plums from the garden. It works really well and we use it all the time in autumn and even take it when foraging. 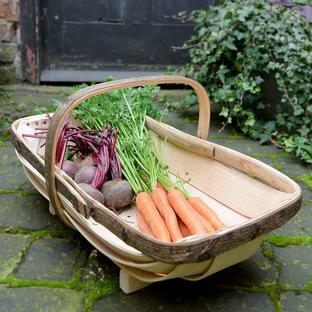 Simply slide the picker onto the end of a broom handle or even old garden hoe or long stick. 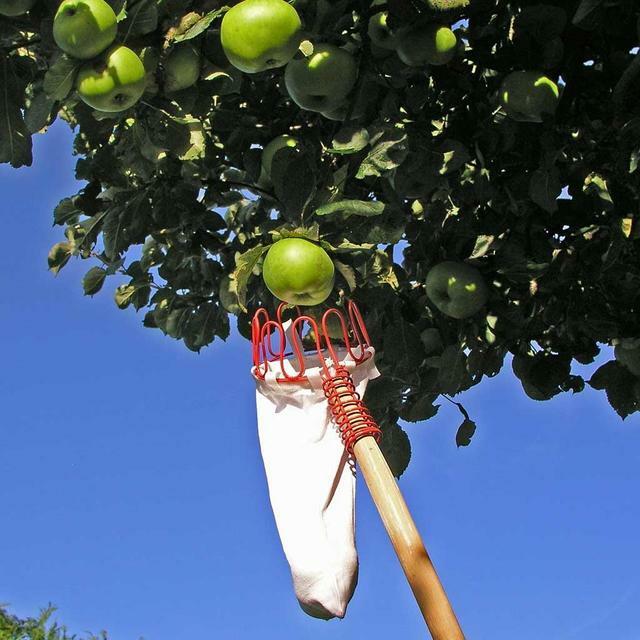 Hold the broom handle so the red picker wire catches over the apple/other fruit stalk and pull firmly down. The fruit will then drop into the long collecting bag. 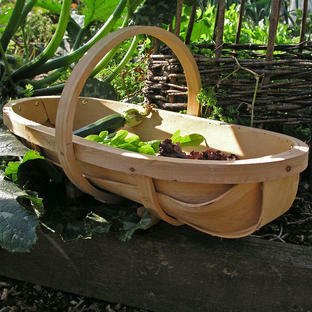 When the bag is full or too heavy to hold, simply and gently tip the fruit out into your trug or harvest basket. 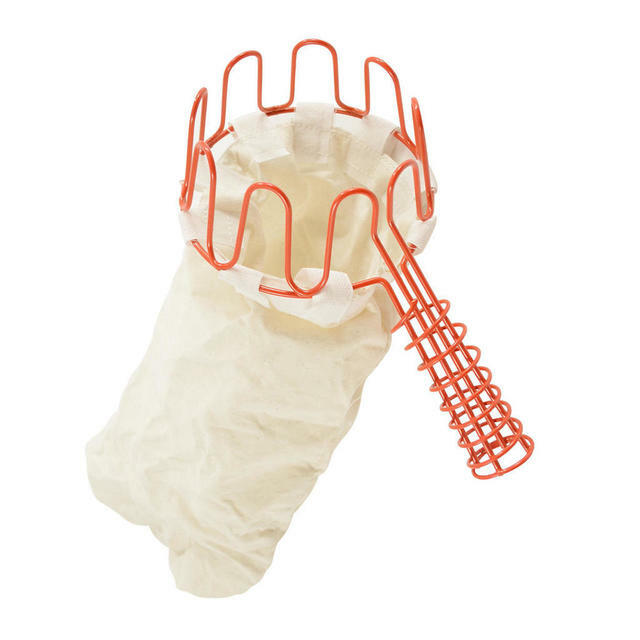 When you are not using the picker, it can be easily stored away in a drawer or your garden tool box. 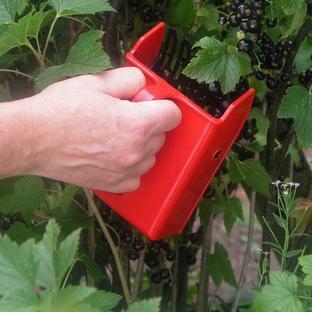 If you have a large tree or orchard why not invest in a fruit press?